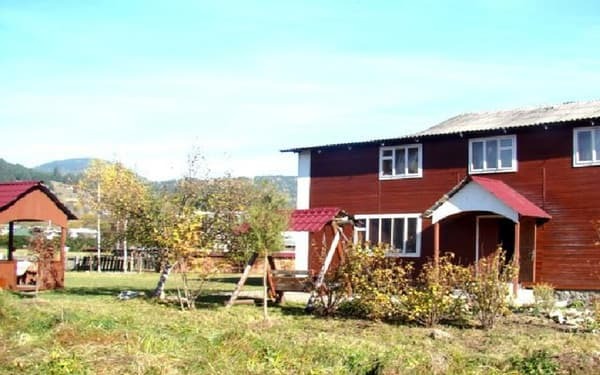 Private Estate "We Gannusі" is located near the river, in a quiet, peaceful place. 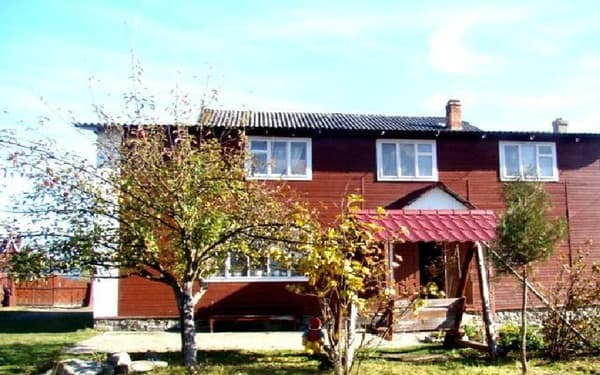 Located at a distance of about 1 km from the center and is a 3-storey wooden house. On the first floor - a lounge (sofa bed, refrigerator, TV), 4 four-bed room (double bed and 2 single beds, a wardrobe in one of the rooms have a bathroom - shower, WC), 2 bathrooms on the floor (shower, WC , washbasin). On the second floor - Hall (corner sofa, table with chairs), two-room superior room (double bed, sofa bed, TV, wardrobe, bathroom - shower, WC), 3 four-bedded rooms (double bed and 2 single beds, wardrobe), bathroom (shower, toilet, wash basin). 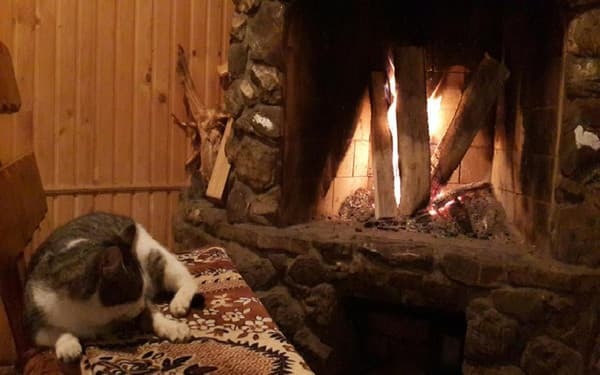 Heating stove, hot and cold water. 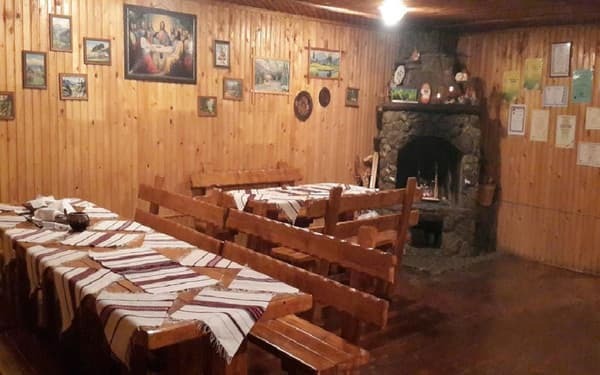 In the courtyard of the estate is a gazebo with pool table and kolyba, where guests can enjoy delicious Hutsul cuisine, its own bread, tea from herbs. The hotel "At Gannusі" also has a kitchen where you can cook your own meals if desired. The cottage can lodge up to 30 people. Not far from the manor house museums: Parajanov, the Hutsul region, Verkhovyna. RATES ARE SUBJECT TO CHANGE, is necessary to specify at the operator! Description of the room: Superior 2-room is located on the second floor of the cottage. The room has everything you need, double bed, sofa bed, TV, wi-fi internet. 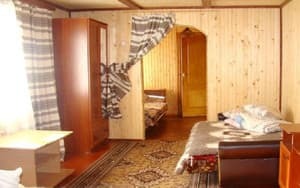 Описание номера: In the Junior category there is a double bed or two single beds, TV, Wi-Fi Internet. 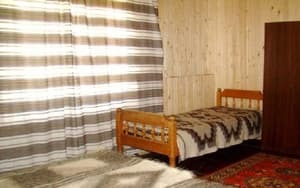 In a double room, a maximum of 4 people can be accommodated. The cost of extra bed with meals (breakfast and dinner) - 100 UAH. 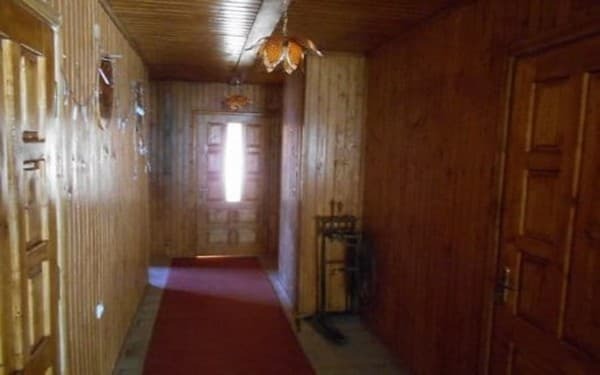 Описание номера: Connecting rooms with one bathroom for two rooms. 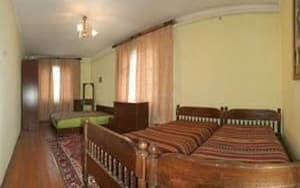 The room has a double bed, as well as a sofa bed (can accommodate up to 4 people), TV, wi-fi internet. Children aged 5 and under stay free with their parents. Children under 13 years - 50% of the cost of the additional space. 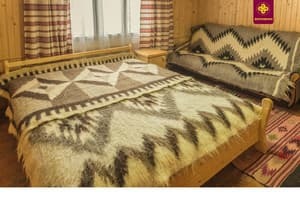 Extra bed - 100 UAH. 1 km from the center of the village and slopes. The nearest lift in Verhovine - 2.5 km, Iltsi - 5 km. To Verkhovyna by bus or shuttle bus from Ivano-Frankivsk, to go out in the center, then take a taxi or the owners meet you their car. Car on the highway H-09 through Ivano-Francovsk up with. Tatars. In Tatariv turn signs for Kosov (Route P-24 Tatarov-Verhovina) to go to the settlement Verhovina bus. It is possible to arrange a meeting with the hosts.